⇒ Last Season Finale “Why Await Life’s End / When It’s Filed Away” To track down Oscar, Jane enlists the help of Ana, a young hacker the team had previously saved. Weller and Sarah dig underneath the fort in their childhood home, where Bill Weller said Taylor Shaw was buried, but find nothing. Weller realizes that “fort” referred to an old family campsite; there, he digs up Taylor’s bones. Jane finally catches up to Oscar, who knocks her out and captures her. When she awakens, he confirms she is not Taylor, explains their group’s plans, and tells her that Shepherd is their leader. As he prepares to wipe her memory again, Jane breaks free and kills him. Reade, Zapata, and Patterson search for Mayfair, learning she was murdered. Decrypting a flash drive Mayfair had hidden in her house, they discover files labeled “Daylight,” “Orion,” and “M7G677.” Upon Jane’s return to her safe house, she is greeted by a coldly furious Weller who arrests her. ⇒ New Season After escaping from CIA custody, the team recaptures Jane and convinces her to become a triple-agent within her old terrorist organization where she unlocks some major secrets from her past, while recent betrayals from both sides threaten to tear her and the team apart for good. 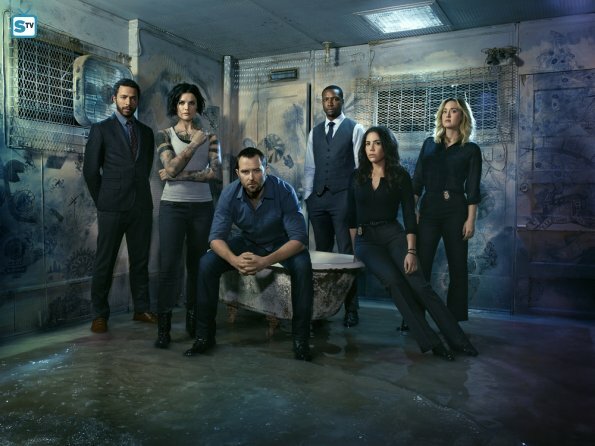 Are you excited for the return of Blindspot?